Here are 10 best and top rated jQuery plugin to create user-friendly switch controls and toggle buttons for your web design. I hope you like it. 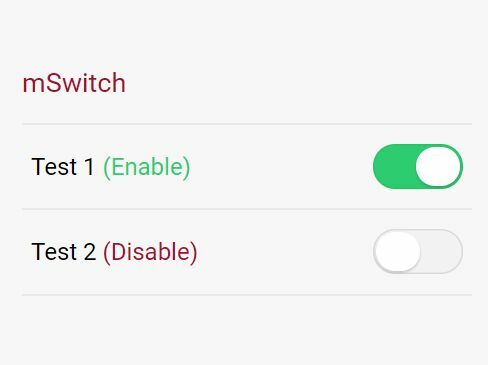 btnSwitch is a simple, customizable jQuery plugin which converts any DIV elements into button or checkbox based on/off toggle switches with custom themes and callbacks support. 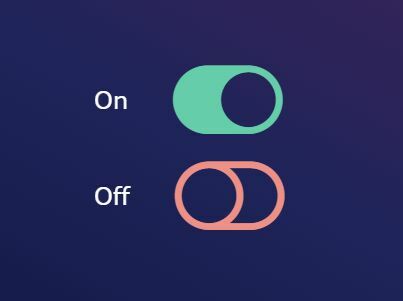 toggle-onoff is a dead simple jQuery plugin for creating a toggle switch that uses Font Awesome for the on/off icons. 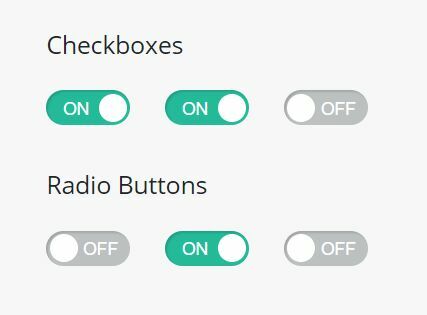 The jQuery Simple Input Toggle plugin transforms the normal radio inputs into switch-style toggle buttons for better user experience. miniToggle.js is a lightweight jQuery plugin which transforms normal DIV element into an iOS-style smooth toggle button (switch) with variable colors and toggle event supports. Yet another jQuery toggle switch plugin which transforms a regular checkbox input into an iOS style switch control with cool gooey sliding effects when toggled. 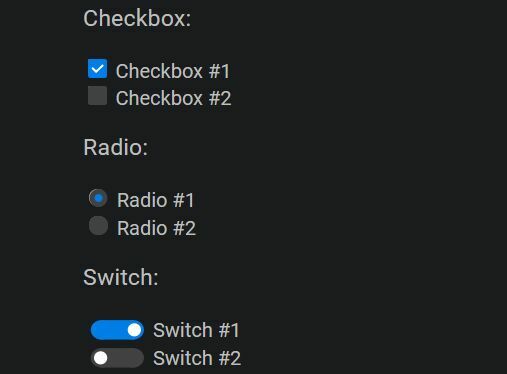 Switcher is an ultra-light jQuery plugin that transforms the native Checkbox and Radio Button elements into iOS inspired on/off toggle switches just with a JS call. 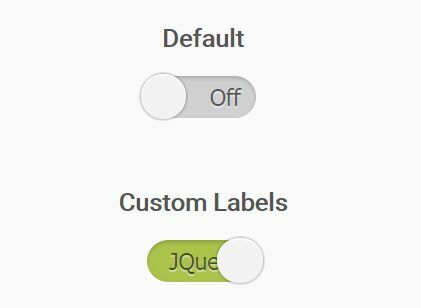 simpleToggler is a lightweight jQuery plugin that transforms the normal checkbox inputs into animated, easy-to-custom toggle switches. 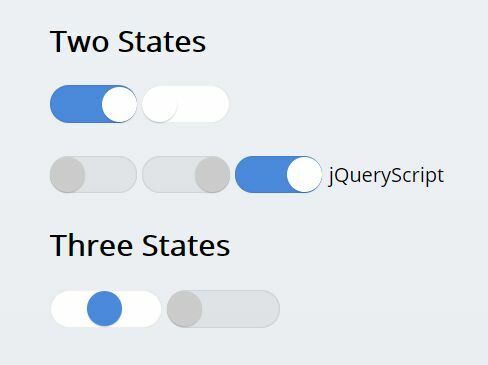 The jToggler jQuery plugin converts the normal checkbox into an iOS-style toggle switch that enables the user to select between three options: Checked, Unchecked and Indeterminate.